The thing about jokes are they take on a life of their own – spinning into new creatures of madness or spluttering out into nothingness once their time has passed. So how does a comic keep it relevant; the routine fresh, the audience engaged? Mor rakes in the spotlight at The Junction on March 29 with an hour-long special titled ‘KAN.U’. “This is my most bold and controversial solo, where I deliver a mix of observational and storytelling format of comedy to deliver a no-holds-barred hour of comedy on topics like feminism, death, affairs, teenagers and that one story which I have been wanting to tell for a long time,” he explains. He goes on to promise a family-friendly show. “For me, love of the stage and mic was the singular driving factor [in getting into comedy]. 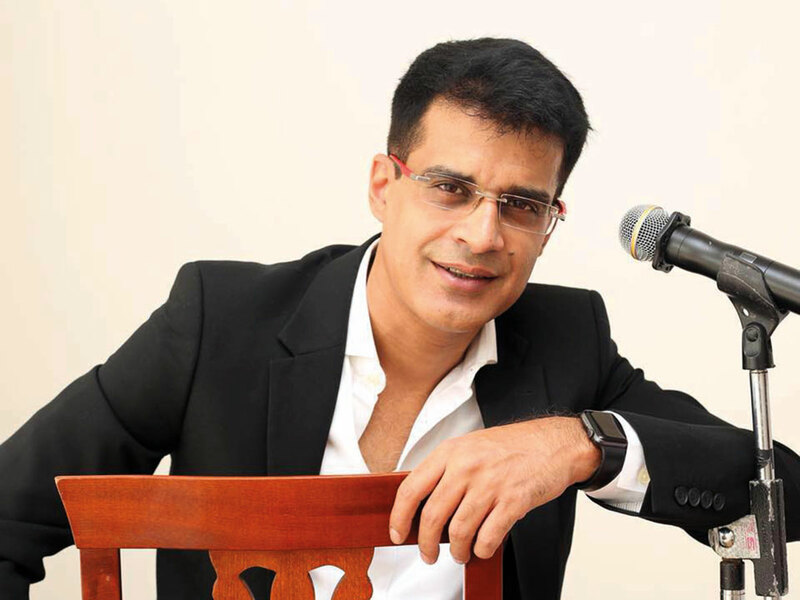 Nothing makes me happier than entertaining people with a mic in my hand,” the funnyman tells Gulf News tabloid! Just don’t try to record while he’s talking. It’s not that he’s camera shy; his YouTube channel has more than 7 million views. “I feel sad for those recording that despite me being right in front of them, they still have to look at me through a small mobile screen,” he explains. A friend told me recently that now since our only son is going to college, my wife and I should rekindle romance. I was like, are you mad? We say ‘I love you’ to each other only when we have messed up big time somewhere else. Every married person knows, ‘I love you’ is a preamble to ‘I am sorry’. I have even forgotten how to say it with emotions. God forbid — if my wife was to say ‘I love you’ to me now — I would search the entire house to check what she has broken. See you have to understand — my wife had one brother. Then she got married she had one brother and a husband. Now 20 years later she has two brothers. Tickets to the show Kan. U at The Junction on March 29 are Dh120. The comic will also be hosting a storytelling workshop the next day at 11am at the same venue. Limited seats are available; reserve yours for Dh100.